Either R&B singer, August Alsina is trolling fans or is a marketing genius. His new song has many people wondering if he’s trying to blow up his “special relationship” with his “big sister” Jada Pinkett Smith by sending subliminal messages in his own version of Kehlani’s song, “Nunya.” Fans believe that in the song, he’s implying that he had an affair with actress. This refuels a rumor that developed legs last year, that the two are in a secret relationship. 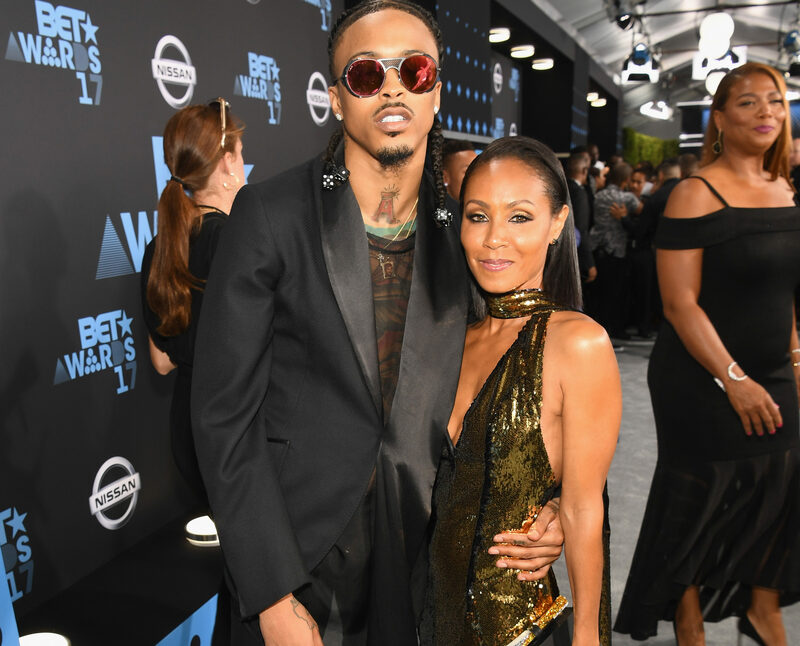 The talk started when Alsina created a lyric video for the song, that points to a break-up with someone he used to love that took took advantage of him. Even though this an R&B song and artists tend to be in their feelings a lot, the point can be made. In recent years, Alsina has been known to be very close to Smith. He even appeared on the first season of Red Table Talk, discussing how she helped him when he was dealing with hard times at one point of his life. He also wrote a heartfelt message to the veteran actress on her birthday, with some believing that his message was a little bit too much for a married woman. Let’s hope Alsina is not spilling tea, but making a sincere song that many can definitely relate to. Check out more heartfelt music from Alsina from his newly released EP, Forever and a Day.